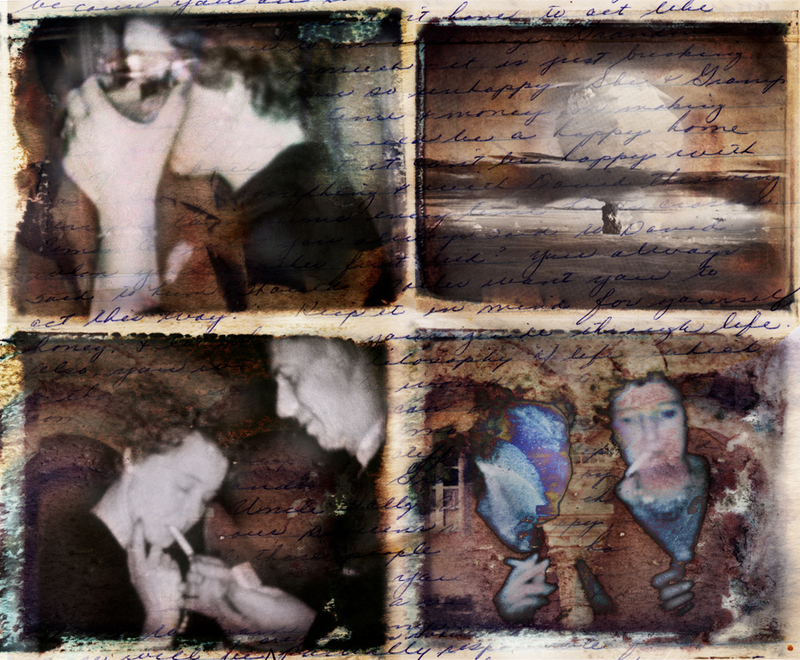 This series of metaphorical autobiographies evolved from my interest in the process of memory and reflection. 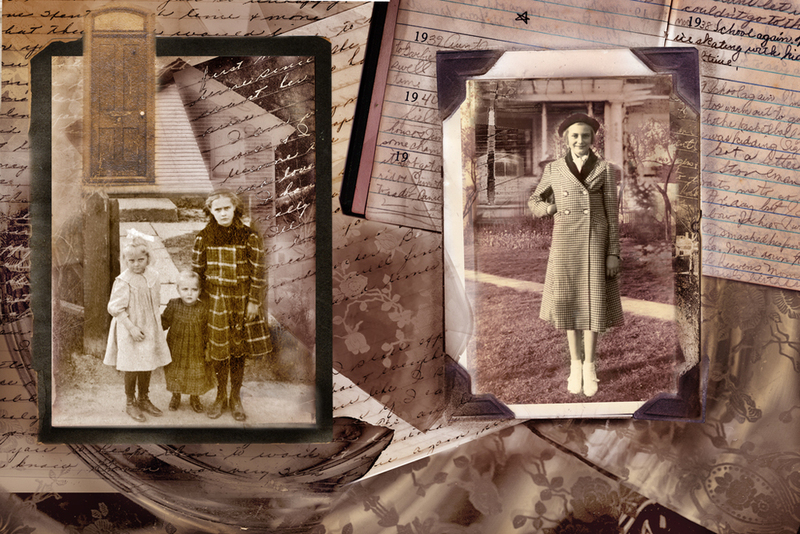 The collages combine scans of objects that belonged to family members with family snapshots. The images reference my own family history while triggering collective memory, blurring the distinction between fact and fiction. Through electronic manipulation, I am able to rearrange content to reflect emotional reactions to events remembered, the power of memory to transform, and the ability of the constructed image to transform memory. The digital collage presents a means to bring together fragmented family stories through nonlinear layering, reconstructing the narrative and creating an overlap of factual events and fabricated reality. The images attempt to create a bridge between the personal narrative and our collective experience of family.